The job market is hot. Unemployment is low. Your business is growing and your team is hiring. The problem? Your competitors are in the same position. In today’s tight labor market, the competition to keep top talent is as fierce as ever. For you to survive and thrive in these bullish times you will need to create a culture and employee experience that employees wouldn’t consider giving up. That’s more than lip service; it’s total rewards, developing high potentials, inclusion, and more. It can be done. Join us on March 14 for a full day of interactive discussion. Learn from thought leaders to help you craft a work experience that makes people want to STAY. Your Emotions Are Your Employees: How Spoken Word Poetry Can Teach Team Communication Skills That Manage Workplace Stress Through Creative Self-Care. Isaiah Makar will open the conference demonstrating poetic storytelling and later in the day he will guide participants in applying the methods. Spoken word has the power to alleviate tensions in the workplace. Developing skills in spoken word and disruptive performance mechanisms can enhance workgroup understanding, personal identity and team culture. We welcome participants to perform their own stories at the end of the conference. Impact Mākars, focuses on poetically humanizing the workplace by teaching employees transferable communication skills through spoken word poetry to create an engaging work environment. 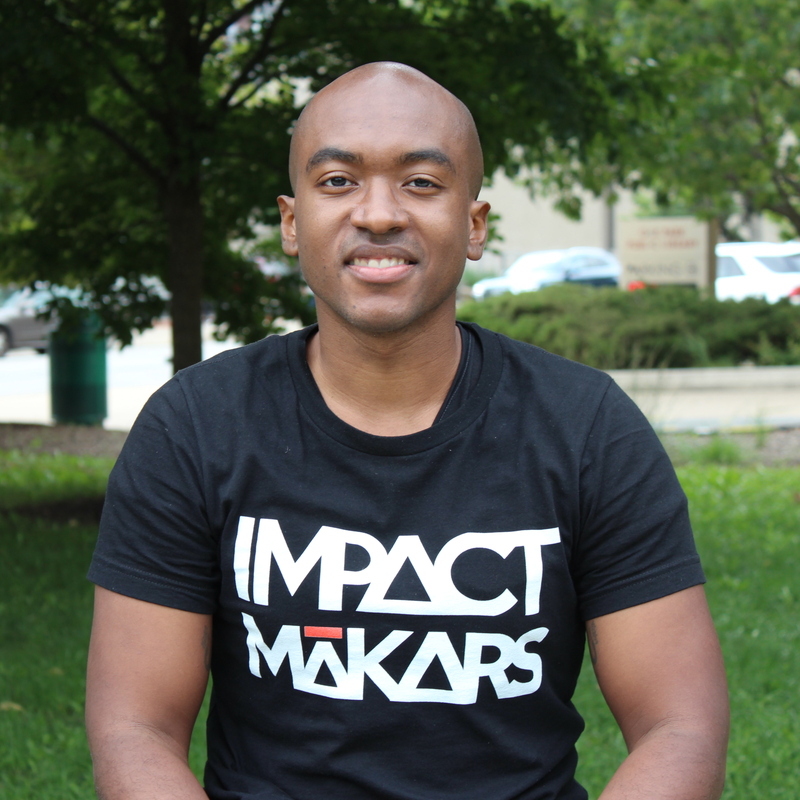 Isaiah has a degree in Organizational & Corporate Communication from the University of Illinois at Chicago. Isaiah won the Outstanding Oral Presentation Award at the Illinois Summer Research Symposium by performing his research in spoken word form, demonstrating the Mākar Method, which is a cross-disciplinary model on how spoken word poetry develops communication skills. Isaiah’s ultimate goal is to build Impact Mākars as the first ever cross-disciplinary performing arts center focused on advancing innovative workforce development so artists can have learning and development careers in the health, education, and corporate fields. Isaiah believes our identity does not need to be sacrificed for a paycheck and by making our authentic selves known we can perform better on every stage of our lives. Winning in the workplace is not about amassing a dream team comprised of star talent. It’s about a business strategy where leaders transform competent employees into superstars. This can be accomplished by cultivating an engaging culture, intentionally designing employee journeys, and empowering them with digital tools to thrive. It’s about taking the talent you have and enabling them to win. Why your managers are critical to success: Our recent research shows that nearly 60% of managers are spending 3+ hours a day on administrative tasks and not enough time leading teams and engaging people. How to define and measure employee engagement: Our research indicated that only 13% had positive employee engagement results and 25% lacked any tool to benchmark engagement. How to get past common organizational barriers like lacking a clear strategy, insufficient budget and inflexibility of legacy systems. The interconnection between employee engagement, customer experience and revenue growth. Michael Hughes is a managing director with West Monroe and a member of the Executive Team. He leads the firm’s Operations Excellence practice, including the ERP, Organizational Change Management, Program Leadership, Business Analysis & Architecture, Workforce Optimization, and RPA offerings. Michael has over 25 years of experience navigating all facets of change to deliver process and technology-enabled business transformation programs across an array of industries. You know that feeling when you discover a handwritten note nestled in the middle of all those bills? Or that utter joy when you put your hand in the pocket of the jeans you haven’t worn in months, and you pull out a $20 bill? Yes! As HR professional, what if you could help create those moments for your people? Just think. What stands out to you from your last six months of work? What is truly memorable? Ok, now what is truly memorable in a GOOD way? The good news is that we can give you the strategy and specific formula for creating unforgettable moments for your people that reap unsurpassable, positive ROI. It’s easy to go through the routine of work and life, but it’s much more fun, powerful, and effective to create occasions that rock that routine and deliver something surprising - and absolutely delightful. In this riveting presentation, you will learn the key strategic elements to deliver on ideas that wow your people and have them talking about these experiences for a lifetime – seriously. Although it seems like small gestures, these are the critical measures that inspire employees and increase loyalty - which in turn impact engagement and retention. You may have the best of intentions, but it is likely that work days all blend together with few – to zero - stand out moments. With an increasingly competitive job market, you want to change that right away. And this keynote will do just that. Implement a new strategy that increases retention by creating memorable moments that wow and are shared with everyone – truly, everyone. Drive your company’s mission and values by generating new ideas that maximize aha moments, achievements, and connections that are etched in an employee’s memory – forever. Increase ROI, engagement, and retention through creative techniques – even if you think you’re not creative! Jennifer is an experienced keynote speaker, engaging educator, and talented facilitator. Jennifer has over 15 years of learning and development experience with a robust background in luxury hospitality, human resources, and training. 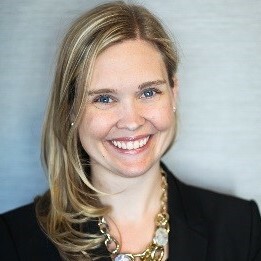 As the former Learning and Development Director at the AAA Five Diamond-rated Waldorf Astoria Chicago and the former Learning Manager at The Four Seasons Hotel in Chicago, Jennifer brings a rich perspective in leadership, management, service, hospitality and presentation skills training. 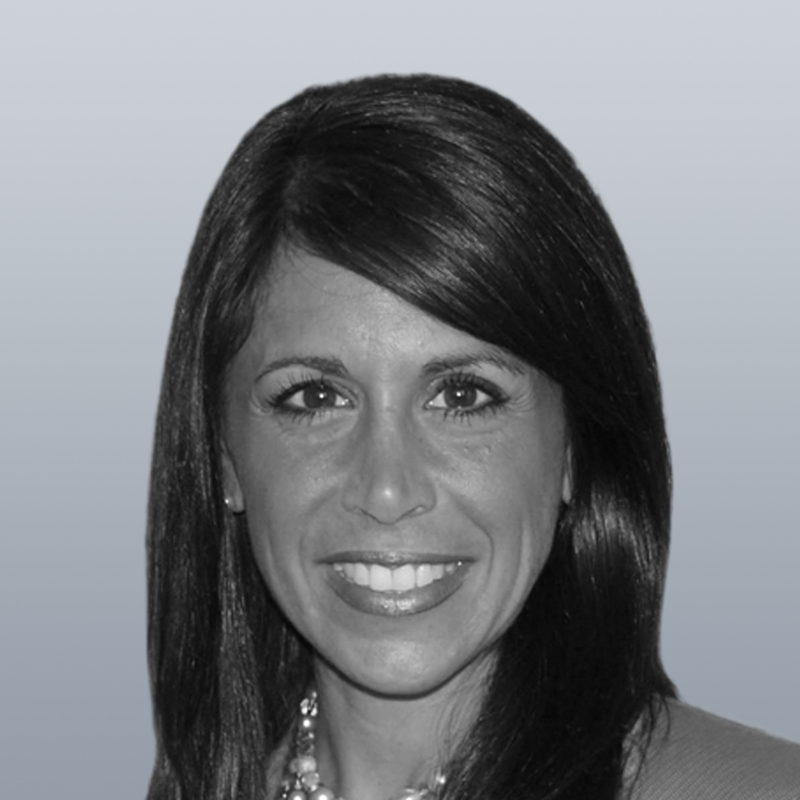 Jennifer works with both local and global companies including Abbott, Lurie Children’s Hospital, Subaru, Discover, Omnicom Group, and the Chicago Fire. She was recognized by The New York Times for the training she developed to foster "intuitive service" in organizations and by Forbes for her expertise on executive presence. Jennifer was rated the #2 speaker at the Society for Human Resource Management Annual Conference. When she’s not presenting, Jennifer can be found checking items off her bucket list, which still includes attending the Oscars at least once in her lifetime. A crucial piece of the equation for people to stay is total rewards. This presentation will focus on Compensation and Benefits, leading the audience through an exercise to help them define their Total Rewards Philosophies and a strategy; perform cost/benefit analyses on proposals; and structure programs that stand out to their people. Mary is the Practice Leader for Lockton Companies Compensation Global Consulting practice located in St. Louis, Missouri. With over 2 decades of experience in compensation, human resources, and work/life programs, she has been a key contributor in the strategic development and design of public and private sector compensation, executive compensation, and total rewards programs. Mary has extensive expertise in managing and designing competitive broad-based total rewards programs that attract and retain top talent. O'Brien is a Senior Vice President with Lockton’s Midwest Benefits Practice and a member of the Midwest Benefits Leadership Team. For a decade he has worked to build, implement, and evolve benefits and total rewards programs for middle market clients across industries. He believes in a purposeful approach to benefits planning and in the importance of branding and communication. With the right thought and focus every program has the ability to stand out. Bill and Jason will provide an update on the current legal landscape, discuss anticipated developments, and share practical tips for smart strategies by HR Leaders on trending legal issues. Bill is Chair of the firm’s Labor & Employment practice group and a member of the firm’s Executive Committee. He is a litigator who manages employment-related disputes before federal and state courts and administrative agencies throughout the country, and he also serves as a strategic partner to companies and executives concerning the broad spectrum of critical business and employment matters that impact their operations. Bill’s litigation practice encompasses the full spectrum of employment matters. He litigates and advises clients daily on noncompete and nonsolicitation agreements, trade secrets, breach of fiduciary duty, and breach of contract matters. He also has deep experience counseling on, investigating, and litigating all manner of complaints and claims of discrimination, harassment and retaliation regulated by federal and state counterpart statutes such as Title VII, the Americans with Disabilities Act (ADA), the Age Discrimination in Employment Act (ADEA) and the Family & Medical Leave Act (FMLA). Bill also advises clients on compensation issues, and defends class action cases across the country involving wage & hour and overtime pay claims regulated by state and federal laws. Jason is a litigator and strategic counselor in all aspects of labor and employment law. He litigates unfair labor practices before the NLRB, arbitrates labor grievances, negotiates and administers collective bargaining agreements, and develops long-term labor strategies to maximize the value and effectiveness of each client’s workforce. He also litigates and provides daily counsel on matters arising out of the numerous federal and state counterpart statutes governing employers, including FLSA, Title VII, the Family Medical Leave Act, the Age Discrimination in Employment Act, and the Americans with Disabilities Act. He has extensive experience defending collective and class action wage and hour disputes and conducting wage and hour audits to proactively identify and minimize potential sources of liability. Mantras Matter: 10 Ways to Evolve Our Conversations, Commitments and Contributions to Diversity, Inclusion and Equity. The foundation of a great organization begins with a culture of authentic, bold, and connected individuals that are empowered and inspired to bring their best selves to work. This engaging presentation will offer 10 ways to think about diversity, inclusion and equity that go beyond strategies and goals for organizations, teams and individuals. You will learn insights and lessons from the speaker that have empowered her to drive commitment among others to create authentic cultures that leverage, engage, and celebrate the diversity and interdependencies that we bring to work each day. Discover guidelines that can create internal, future-focused motivation in others that lead to practical and tactical actions for culture evolution. Be inspired to create your own mantra that impacts belonging, engagement, commitment and performance. At Conagra Brands, Khalilah is building a culture that values, inspires and connects all employees. Khalilah understands the importance of leveraging all of a person’s experience: experience based on race, disability, gender identity, ways of working, communication style, parental status, and all other facets that come to the table. Prior to her role at Conagra, Khalilah led a variety of initiatives around diversity & inclusion, talent management and human capital planning. Serving a wide range of organizations (from tech startups to Fortune 100’s), Khalilah’s experience spans consumer brand manufacturing, financial services, information security, mobile technology and even pets! In addition to her corporate role, Khalilah aligns her passion to disrupt narratives and create opportunities for inclusion and diversity for future leaders. She serves as a D & I expert for several nonprofits, sharing inspirational messages as a keynote speaker, mentor and volunteer. Is there a more mission-critical decision than how to attract and retain the right people? In our era of human capital, pretty much all innovation, improvement and strategic success comes from what employees do on a daily, hourly basis. As HR, we may affect the bottom line more by driving retention than in any other way. But, how can we guide the selection and implementation of the choices for this critical business issue? There are all sorts of ideas, but with a strategic task like figuring out retention, is there a way of narrowing the choices and being more confident and strategic in what you propose? This presentation provides a powerful overview of the research evidence underlying three main employee retention strategies: using engagement the right way; rethinking “motivation” for the new work force; and harnessing emotional intelligence in management. In addition to giving the research evidence for the power of these strategies, Malcolm will share observations and stories drawn from his 40+ years in the Corporate world as an HR, OD and Training specialist, and as an external consultant and academic. Understand the value of making evidence-based and strategic choices around retention, including business-based reasons for using engagement surveys in retention management. Describe a new set of strategies appropriate to the modern workforce that could be successful business objectives in your own organization. Consider retention tactics that could achieve the aims and interests of your organization. Malcolm Fraser is the Founder and Principal Consultant of Leadership ROI, a consulting organization dedicated to helping companies grow the talent their future requires. He is also an Adjunct professor at the Chicago School of Professional Psychology’s Organizational Leadership / Business Psychology Department, where he has taught courses on succession planning, career management, leadership skills, and organizational culture. He began his career at Allstate insurance, where he designed courses and began his experience as a leadership trainer. Malcolm then spent 14 years at Motorola University, where he led development of a performance management system later adopted throughout the company. In the past 15 years, Malcolm has gained experience in a variety of OD and Learning roles across multiple industries, including professional services, manufacturing, and health care services. These roles included a growing focus on talent management and leadership development. Malcolm is known for his collaborative and relationship-focused style, which allows him to quickly establish relations with executives and leaders at all levels. Private equity companies are not typically known for being at the forefront of organizations where human capital is valued in the same high esteem as financial capital. Parker Gale isn’t the typical company since integrated talent management drives their business. In this keynote, Devin Mathews will describe the talent strategy for Parker Gale and how they extend this strategy to the businesses they acquire. Talent management isn’t a process, but rather an essential piece of the puzzle. Devin will share successes and lessons learned, and how he knows this strategy builds real value and investment return. 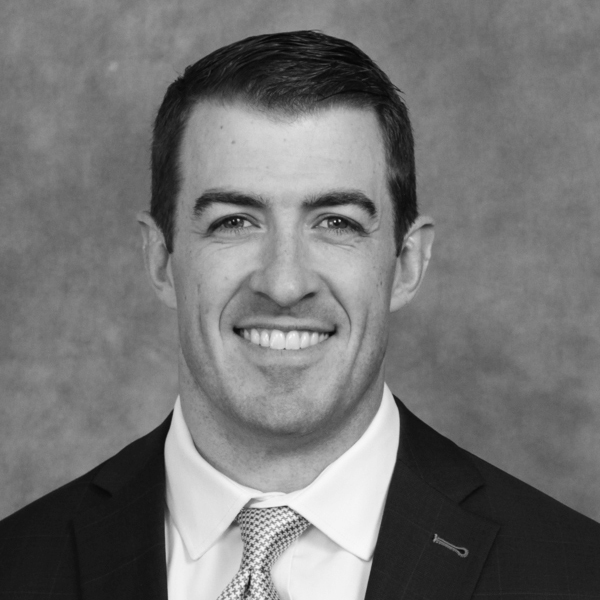 Devin has twenty years of experience managing private equity firms, investing in technology companies, and helping management teams build their companies. Prior to founding ParkerGale, Devin was a Managing Partner and a member of the investment committee at Chicago Growth Partners where he ran their technology group. He also spent five years at Baird Venture Partners where he was the Managing Partner and chair of the investment committee. Early in his career, Devin worked at Great Hill Partners and William Blair Capital Partners. He studied Art History at SUNY Binghamton and received his MBA from the Tuck School of Business at Dartmouth. Devin supports Chicago’s visual arts community as a Board member of threewalls. He also co-hosts the Private Equity FunCast, a podcast that takes a deep looking into buying and building software companies. Event cancellations must be received 3 full business days in advance of the event to qualify for a refund. If you have any question or need any further information, please contact us at chicagoshrm@gss.net or (312) 368-0188.